Homecoming baby set, newborn outfit,knitted baby sweater, knitted diaper cover, , newborn clothes, Newborn. Knitted soft pink baby dress and crib shoes in organic merino wool, baby girl homecoming outfit, newborn Ready to Ship. Knitted soft pink baby romper in organic merino wool, baby girl homecoming outfit, newborn Ready to Ship. Knitted baby romper with cables, in organic merino wool, Coming home outfit, 0-3 months. Announcement tenderblue is a brand of hand-knitted (and vintage machine knitted ) baby clothes, tenderblue is a magic place full of love, delicacy, and tenderness. tenderblue is a brand of hand-knitted (and vintage machine knitted ) baby clothes, tenderblue is a magic place full of love, delicacy, and tenderness. Homecoming outfit, knitted overalls, baby bonnet. Baby outfit. Romper. Dusty rose, 100% cotton, newborn. Homecoming baby set, newborn outfit,knitted baby sweater, knitted diaper cover, knitted baby bonnet, baby socks, newborn clothes, Newborn. Newborn homecoming knitted dress. 0-3 months. Merino wool. knitted baby dress, newborn gift. Knitted baby romper with cables and crib booties, in organic merino wool, Coming home outfit, 0-3 months. Knitted baby set. Sweater, and diaper cover. Pink and white. baby girl outfit. 100% cotton. READY to SHIP size 0-3 months. Knitted baby romper organic merino wool, Homecoming outfit, Newborn Ready to Ship. Knitted baby outfit. Homecoming girl set. Sweater, cap and leotards. Fuchsia. 100% merino wool. READY to SHIP size NEWBORN. Knitted baby romper and crib shoes in organic merino wool, Coming home outfit, 0-3 months. Homecoming baby set, newborn outfit. Homecoming outfit, knitted overalls, baby bonnet. Baby outfit. Jumpsuit. Sand, 100% cotton, newborn. 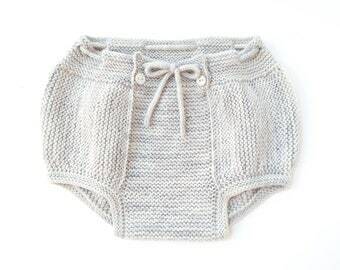 Knitted baby set. Sweater, diaper cover and cap. Camel. Felt bear. 100% merino wool. READY to SHIP size newborn. Homecoming outfit, knitted overalls, baby bonnet. Baby outfit. Romper. Soft blue, 100% cotton, newborn. Knitted baby overalls, knitted baby romper, baby outfit, knitted overalls, baby gift, knit baby jumpsuit, baby clothes, 100% cotton. Knitted baby dress. Navy blue. Crochet heart. 100% cotton. READY TO SHIP size newborn. Knitted newborn outfit, knitted baby set, baby sweater, knitted diaper cover, navy stripes, red navy white, 100% cotton, newborn clothes. Baby wrap cardigan, knit baby cardigan, baby cache-coeur, ballerina cardigan, pink, crochet flowers, baby girl. 100% cotton, newborn. Baby outfit, knitted sweater and matching diaper cover. 100% cotton. Size 1-3 Months. Knitted baby overalls, sky blue, knitted fish. 100% cotton. READY TO SHIP size Newborn. Homecoming outfit, knitted overalls, baby bonnet and crib shoes. baby outfit. jumpsuit. Taupe and blue, 100% cotton, newborn. Beautiful knit outfit! Cannot wait for my little one to wear this. Knitted baby sweater, short sleeves, baby wool sweater, baby girl, soft blue. 100% merino wool. READY TO SHIP size 1-3 months . Knit baby overalls, knitted baby romper, knitted baby set, baby jumpsuit, pink, crib shoes, 100% merino wool. Newborn. Knitted baby dress and socks with jacquard, in red and off white. 100% wool. Ready to ship size 0/3 months. Knitted baby skirt with crochet heart. Soft yellow. 100% cotton. READY TO SHIP size 1-3 months. Knitted baby sweater,cap, baby girl, in pink with felt flowers. 100% wool. READY to SHIP in size Newborn. Very happy with my purchase! Nicely packaged and good communication. Thank you! Knitted sweater, pants. Green and pearl. Crochet fish. 100% cotton. READY TO SHIP size newborn. Knitted little baby coat in pink full of flowers. 100% cotton. READY TO SHIP size newborn. Knit baby set, sweater, diaper cover, baby outfit, homecoming outfit, knit newborn outfit, latte, baby gift. 100% merino wool. NEWBORN. My name is Susana and I'm a dreamer! My inspiration comes from the blue color of the sea, the sky and the clouds, the gold sand, the green of the trees and the miracle of life. Tenderness is my motto. I opened my Etsy shop because I want to show my work and a little bit of myself to the world. I love to create since I was a little girl, I studied Fashion Design. I started to create for my dolls then to my friends and finally my customers. When I became pregnant I fell in love with baby clothing so I first created for my babies (two boys) then to my friend's babies and finally I created TENDERBLUE. All of TENDERBLUE pieces are made with the care and tenderness of the days of old. Quality is not restricted to the materials (100% wool or cotton and mother of pearl buttons) but in all the details and finishing. They are made one by one, sometimes in a vintage knit machine and others handknitted, sewn by hand with all my love and the love of my "right arm" Conceiçao. And this is what turns TENDERBLUE so unique and special. I'm mother, wife, woman, I appreciate the beauty of life and love to create. - Access. You may have the right to access and receive a copy of the personal information I hold about you by contacting us using the contact information below. Susana Ferrand, Rua Custódio P. Ramos, 480 D Rc Dt 4455-120 Lavra, Portugal.